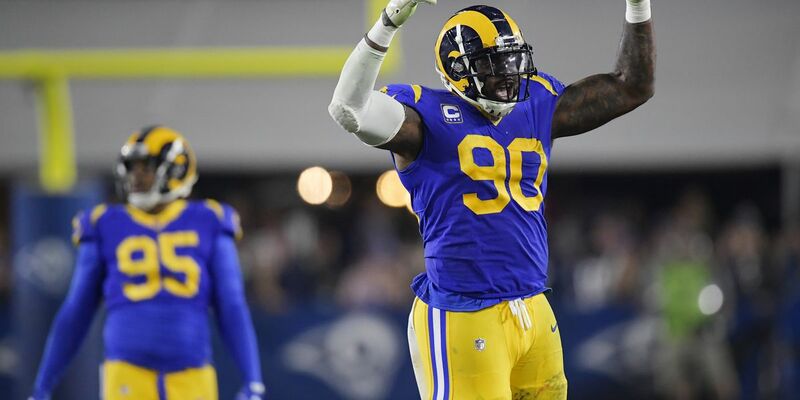 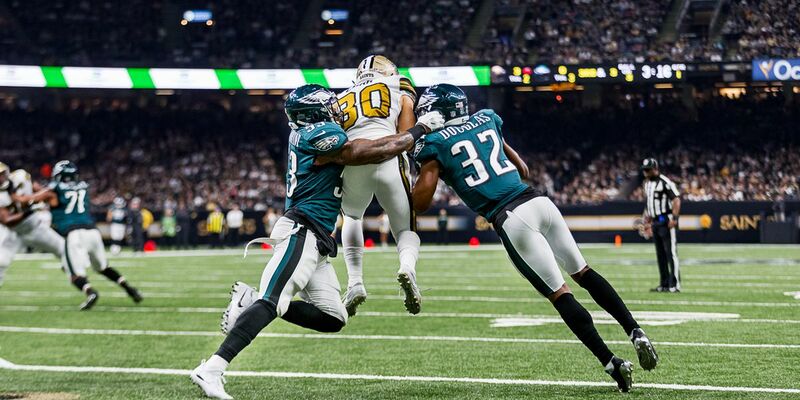 Philadelphia was the wakeup call - the warning that things won’t necessarily go the way they did in the regular season. 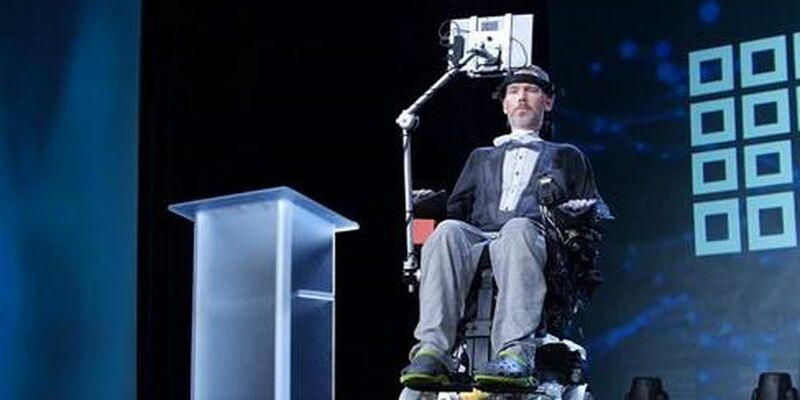 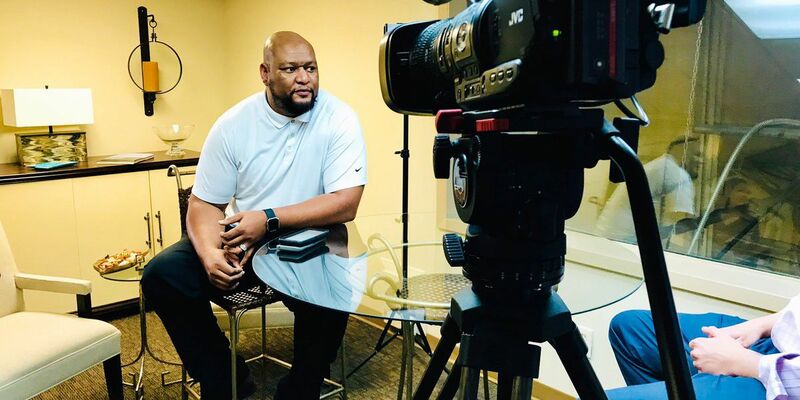 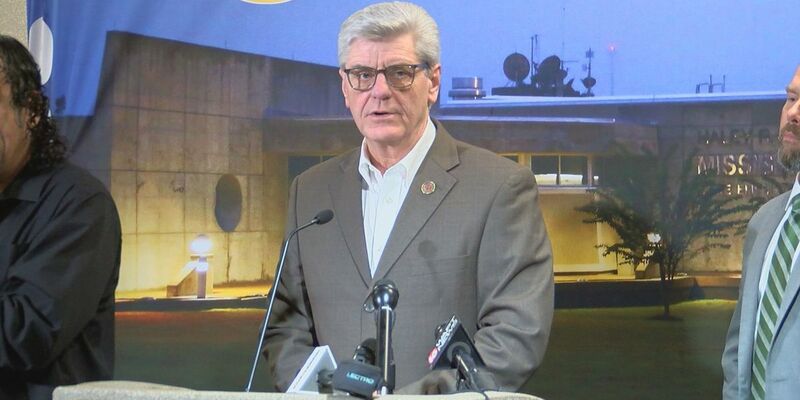 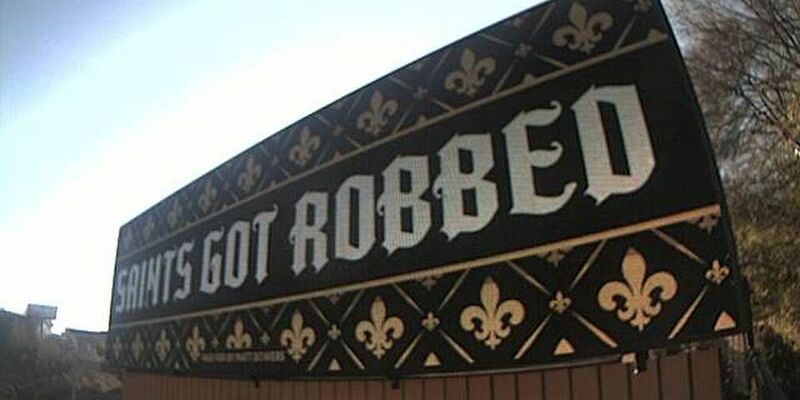 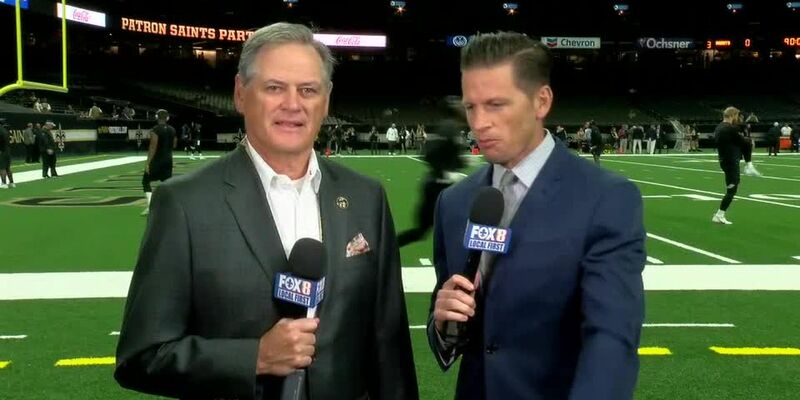 “Having the possibility of hosting two more games in New Orleans with those fans, could be pretty special,” McAllister said in an exclusive one-on-one interview with WLBT. 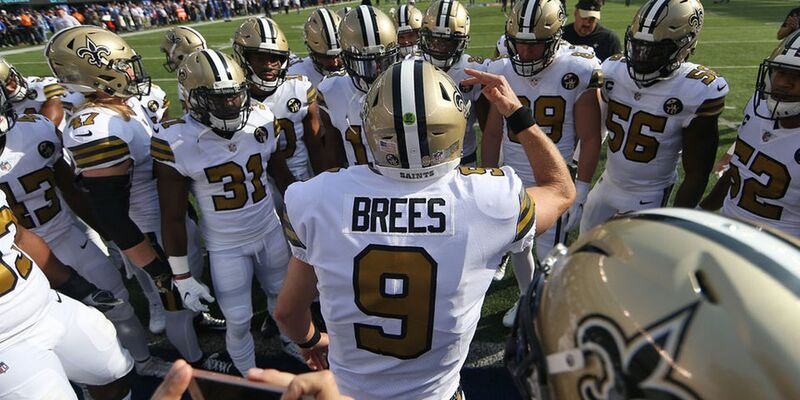 Drew Brees is sitting out the regular season finale. 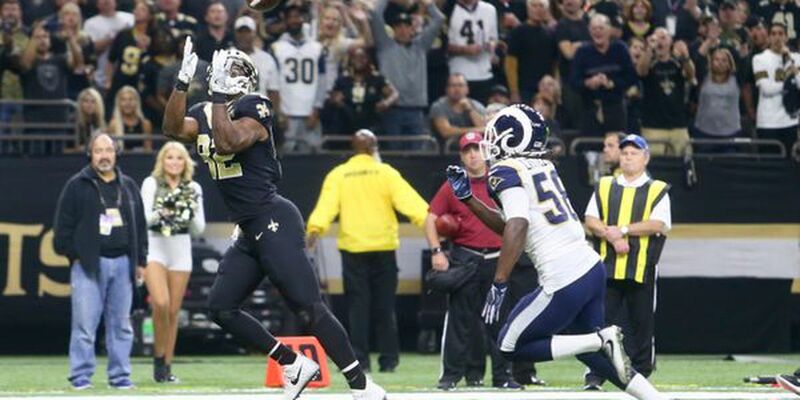 Veteran tight end Benjamin Watson said he is retiring from the NFL following this season. 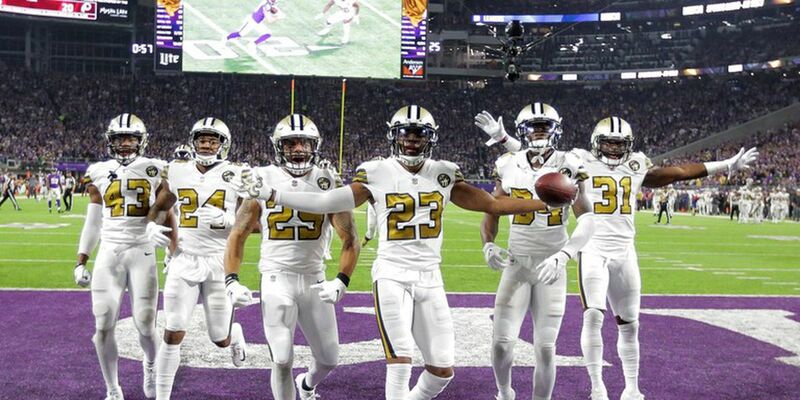 The team is in the last stretch of the regular season. 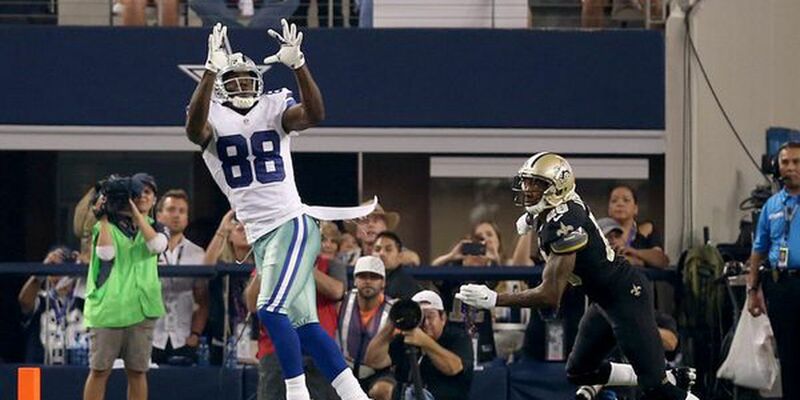 The Saints newest wide receiver is 30-year-old Dez Bryant. 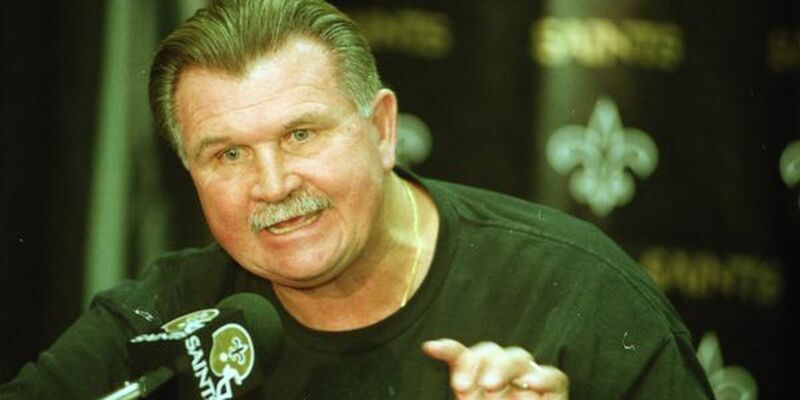 During his time with Dallas he caught 531 passes in eight seasons and went to three Pro Bowls. 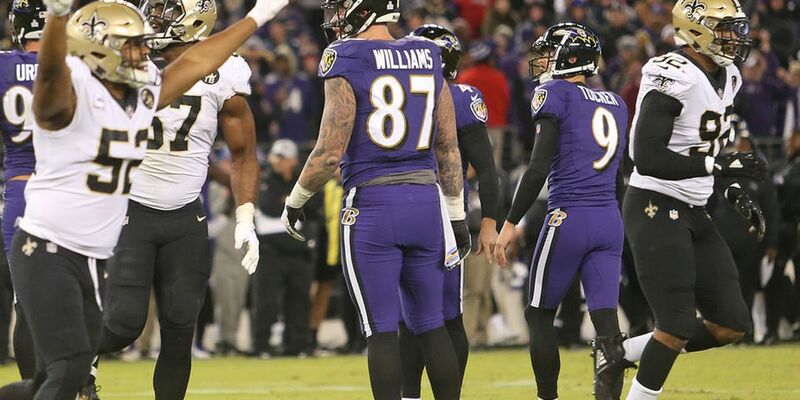 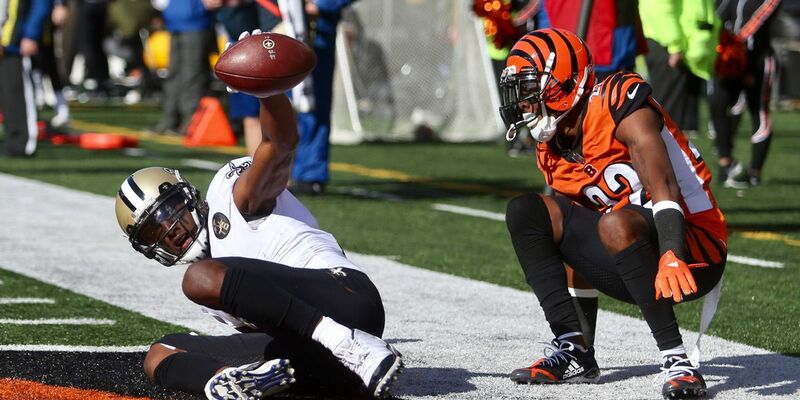 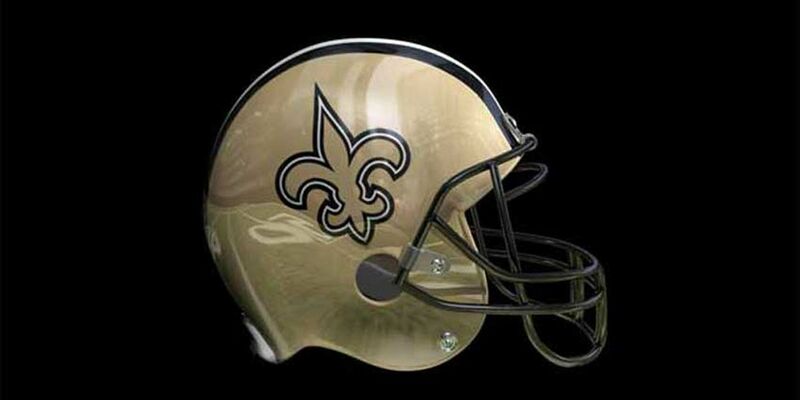 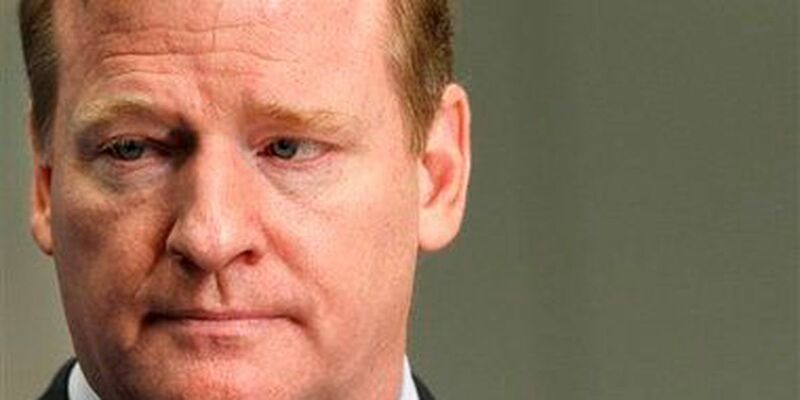 The Saints (4-1) will face the Baltimore Ravens (4-2) this Sunday. 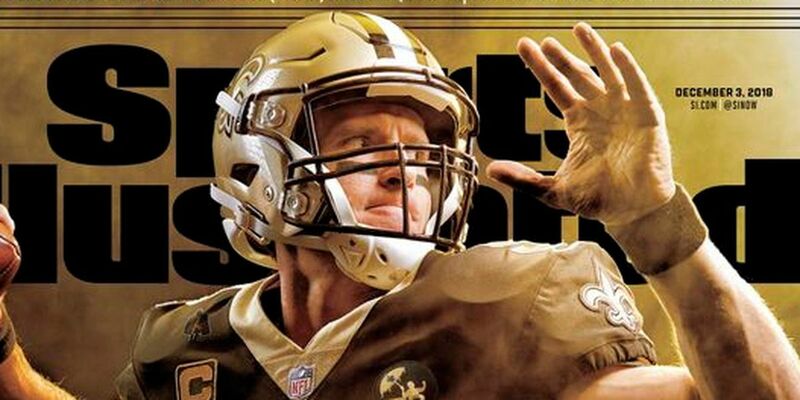 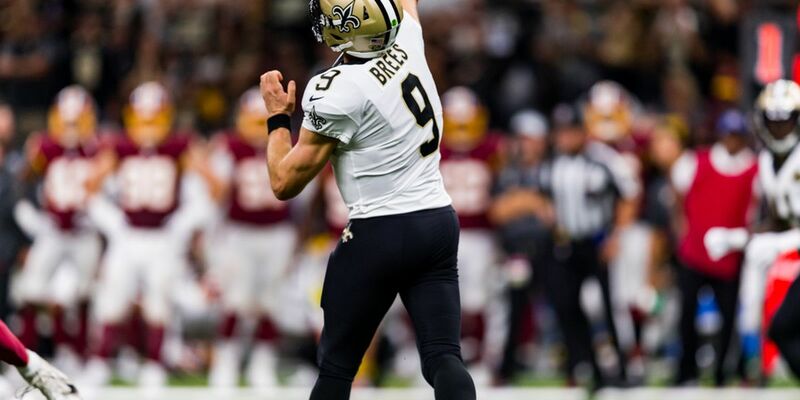 What hasn’t Saints quarterback Drew Brees done in his career? 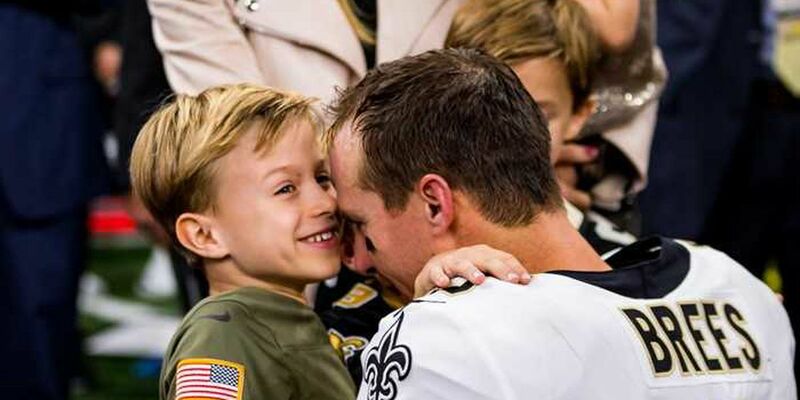 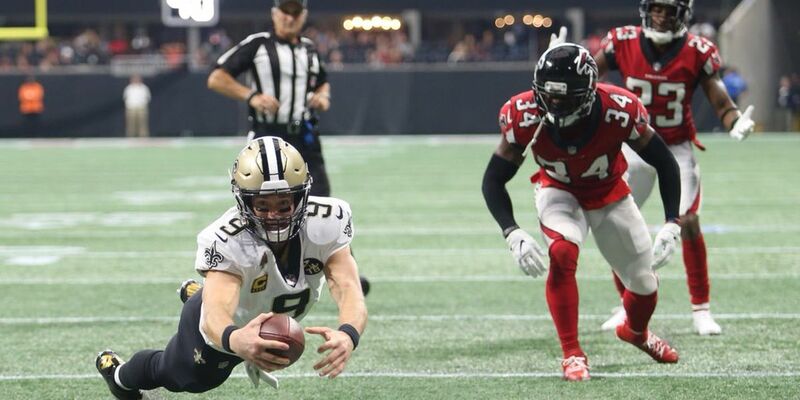 Drew Brees added another page to his Hall of Fame resume Monday night. 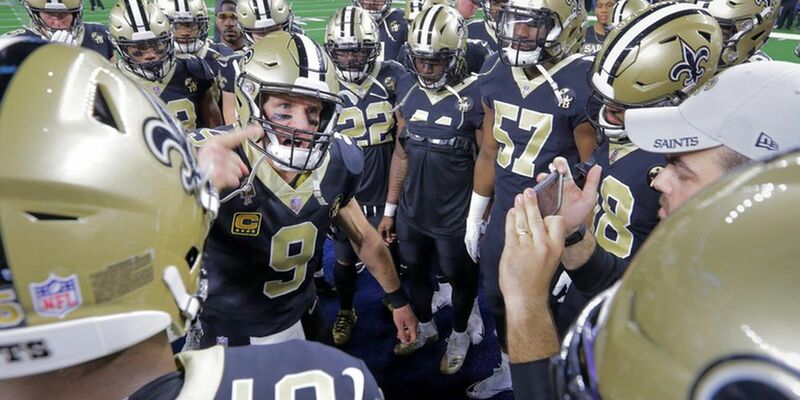 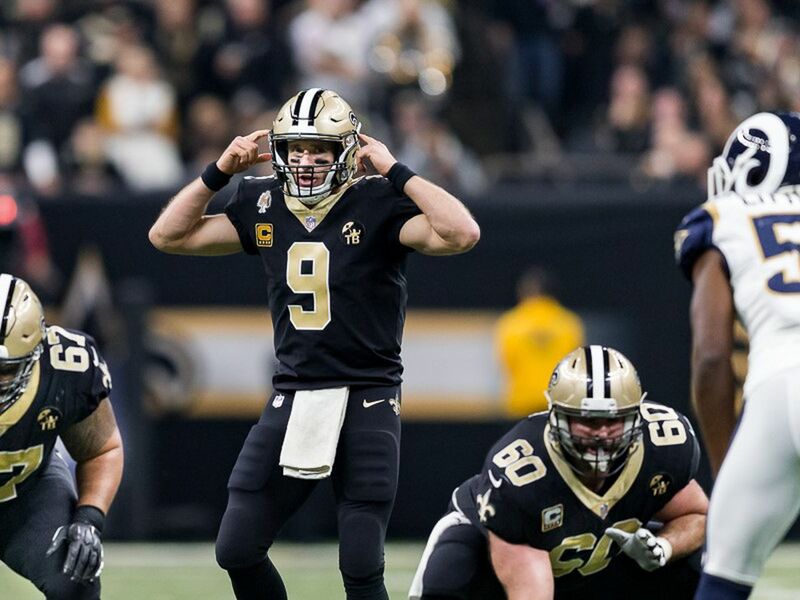 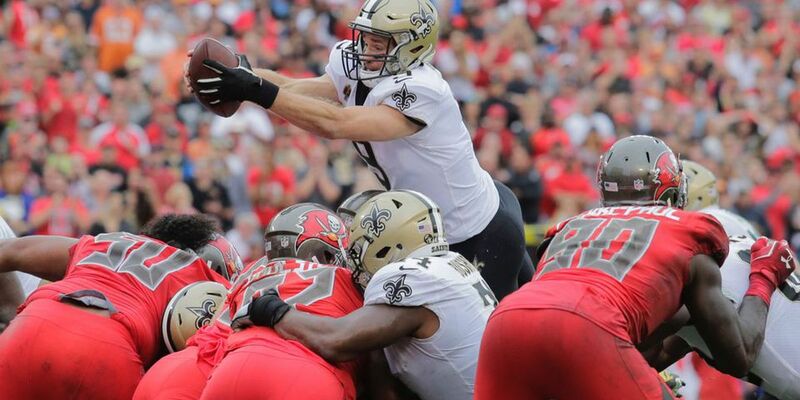 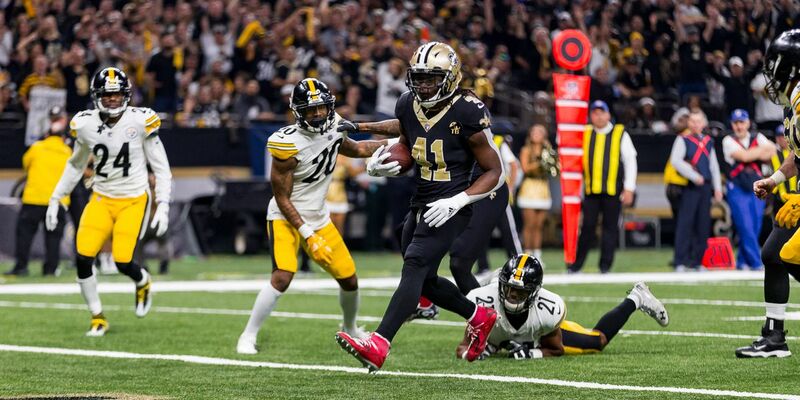 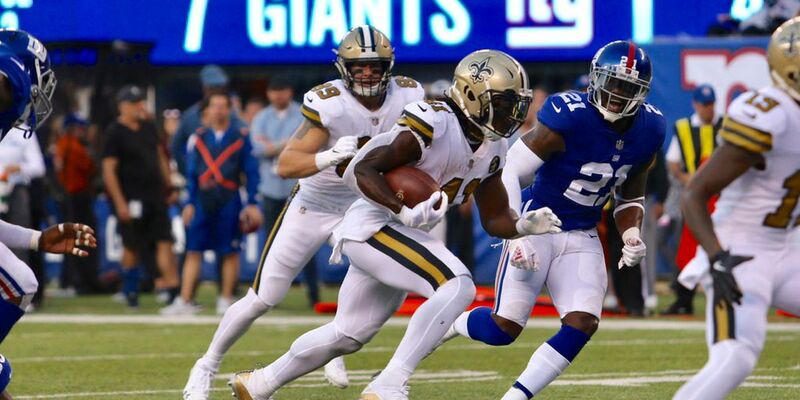 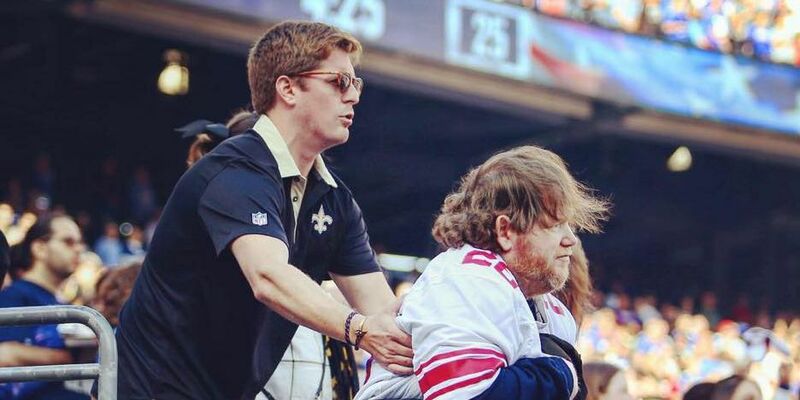 The Saints' offense missed a lot of opportunities inside the 20 yard line during the first half of the game against The New York Giants, but Drew Brees believes the team hit their stride in the second half. 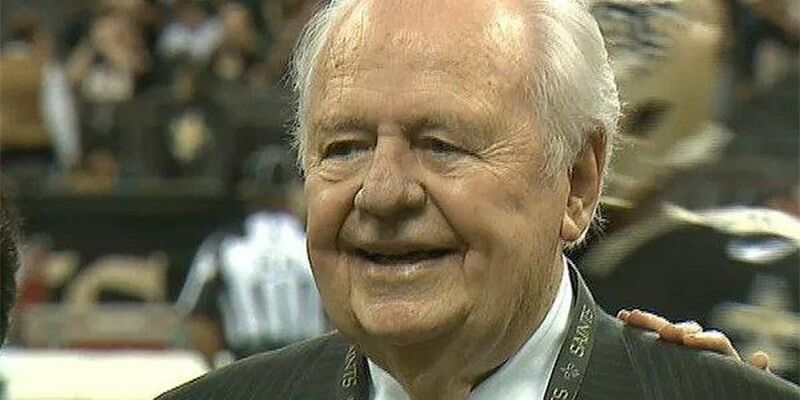 The Atlanta Falcons honored late New Orleans Saints and Pelicans owner Tom Benson during Sunday’s game. 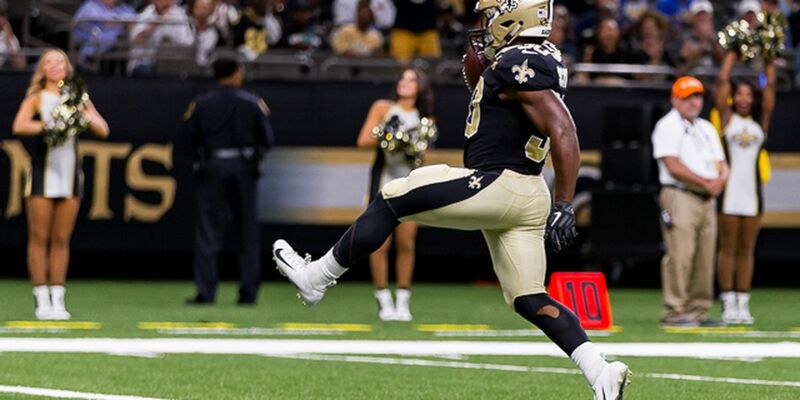 A Wil Lutz 44-yard field goal gave the Saints their first win of the season, 21-18 over the Browns. 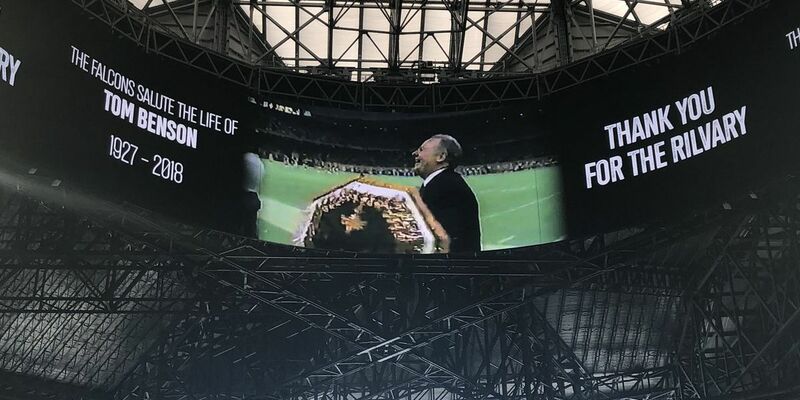 Benson was officially inducted into The Ring of Honor. 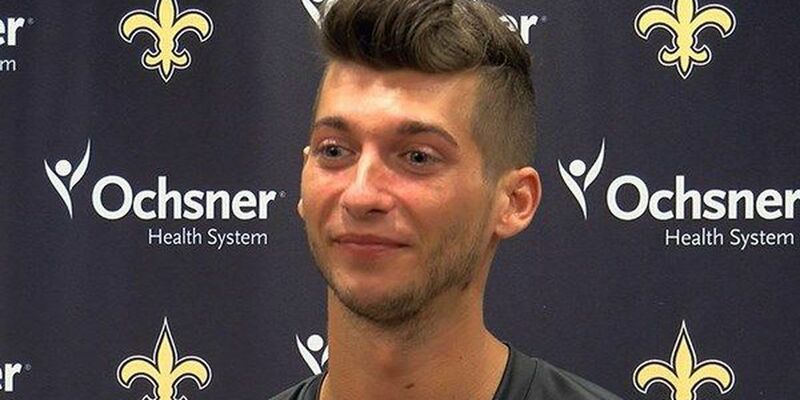 In a sea of lovely ladies, he's not hard to find. 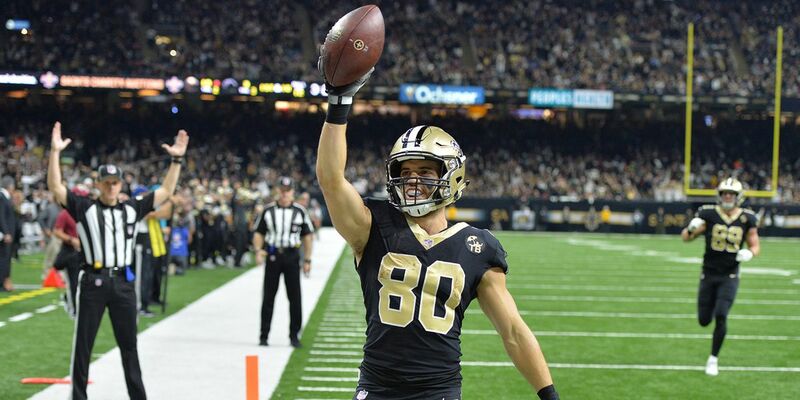 Jesse Hernandez is the only male Saintsation. 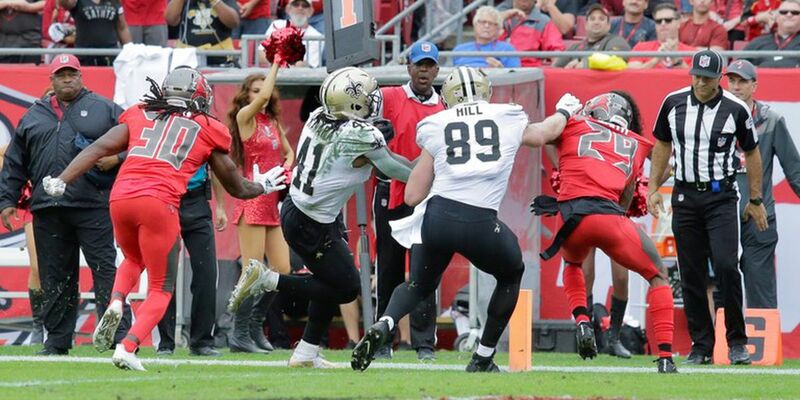 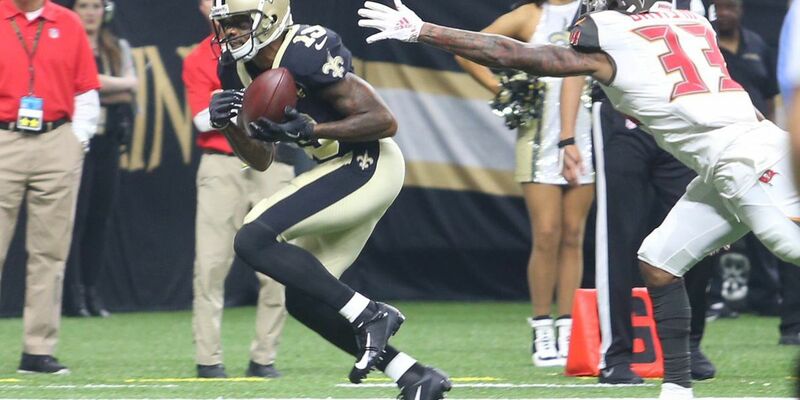 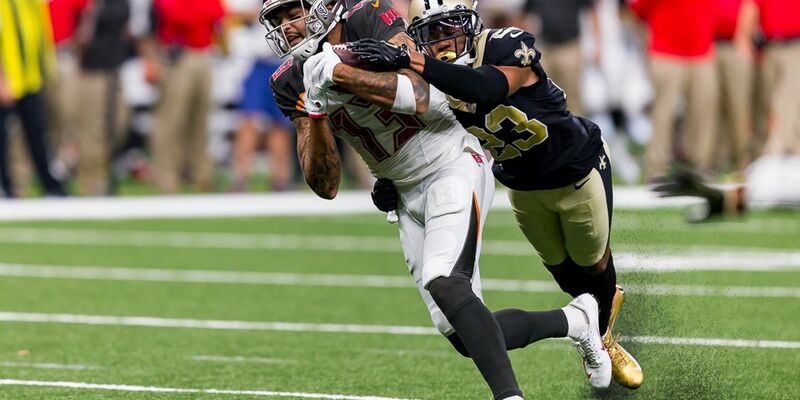 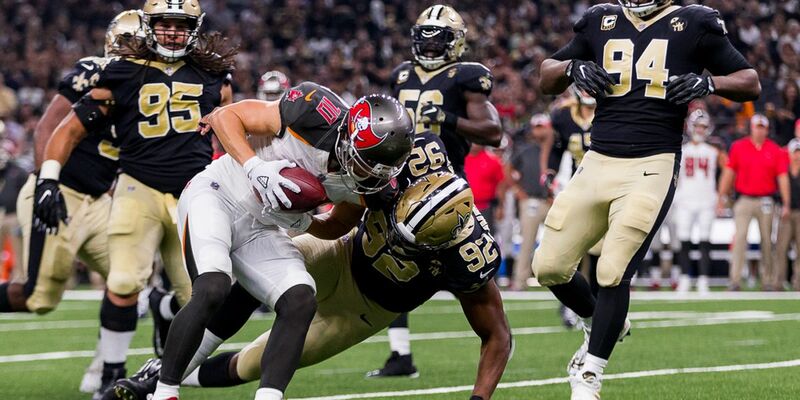 The Saints top cornerback struggled against Bucs wide receiver Mike Evans. 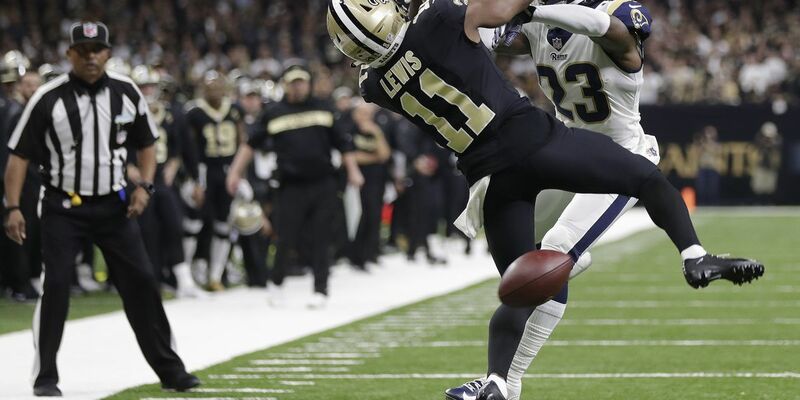 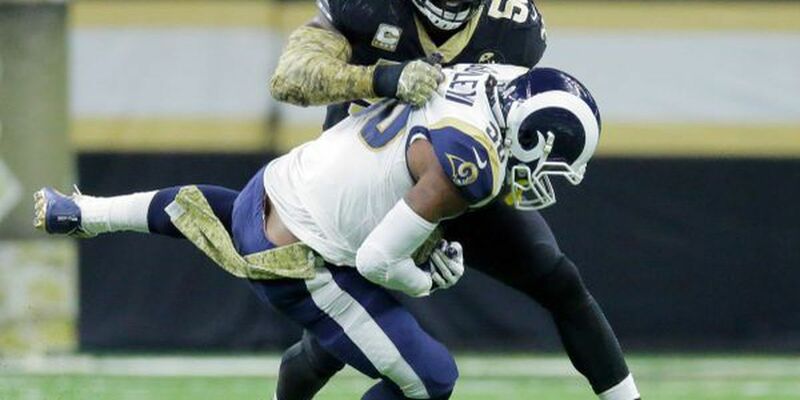 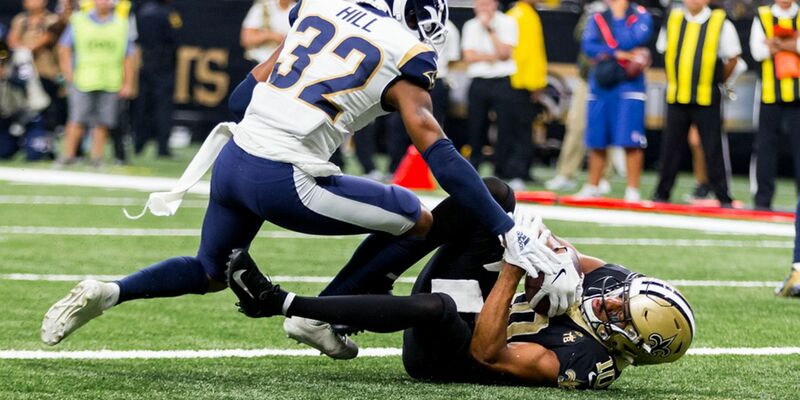 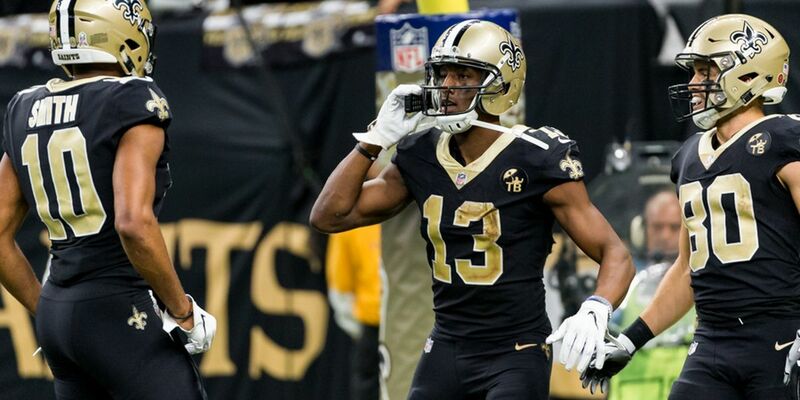 Cameron Meredith caught two passes for 72 yards and a touchdown helping the New Orleans Saints beat the Los Angeles Rams 28-0 in the teams' preseason finale Thursday night. 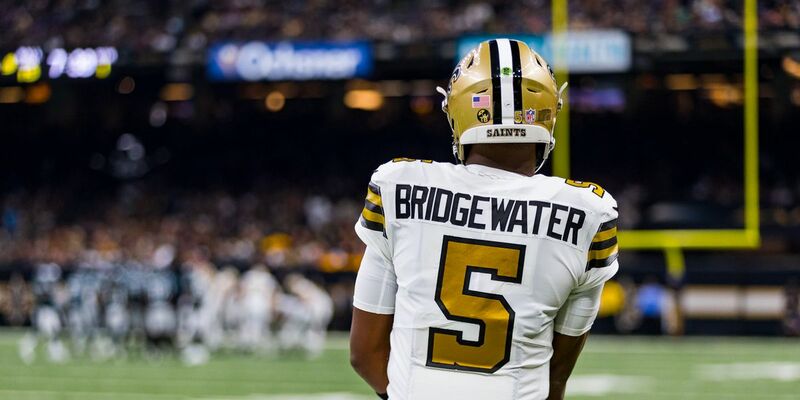 The Saints quarterback room looks a lot different Thursday with the addition of quarterback Teddy Bridgewater. 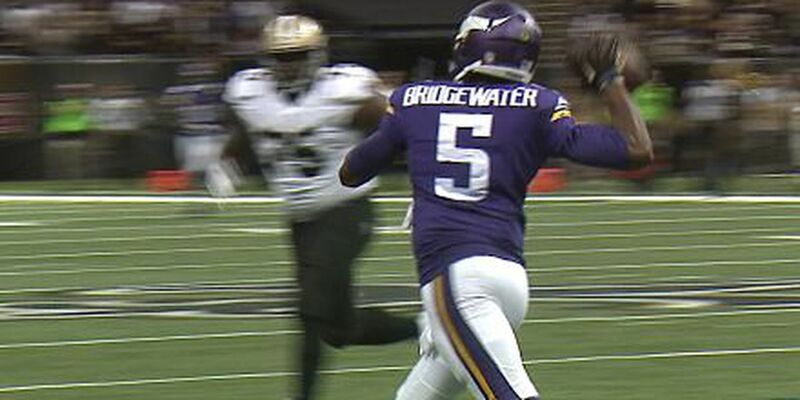 At 25 years old, Teddy Bridgewater is presumed to be the heir apparent to 39-year-old Drew Brees. 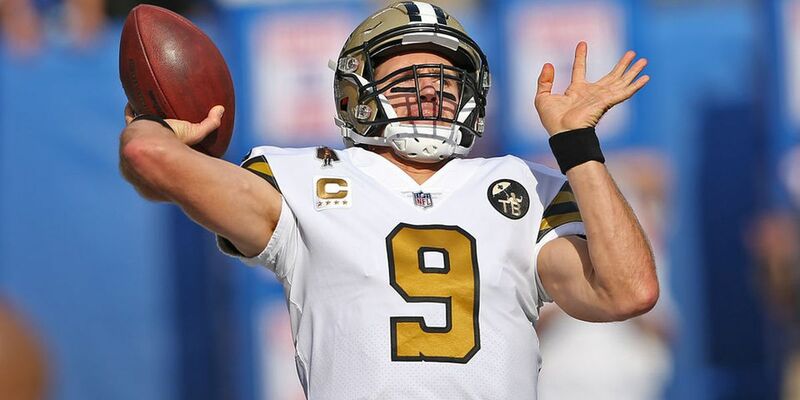 Former Saints linebacker and 1991 NFL Defensive Player of the Year Pat Swilling likes the prospect of planning for life without Brees. 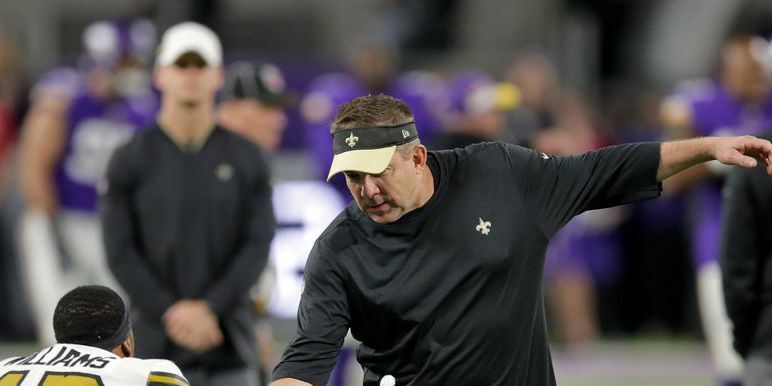 Bold moves have become standard in the Sean Payton era for the Saints. 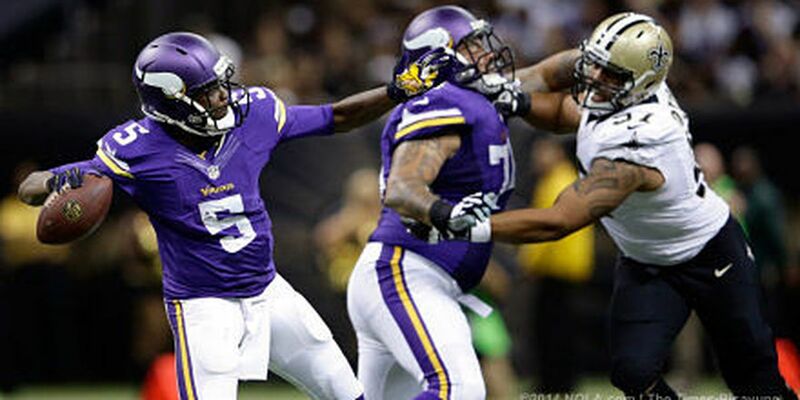 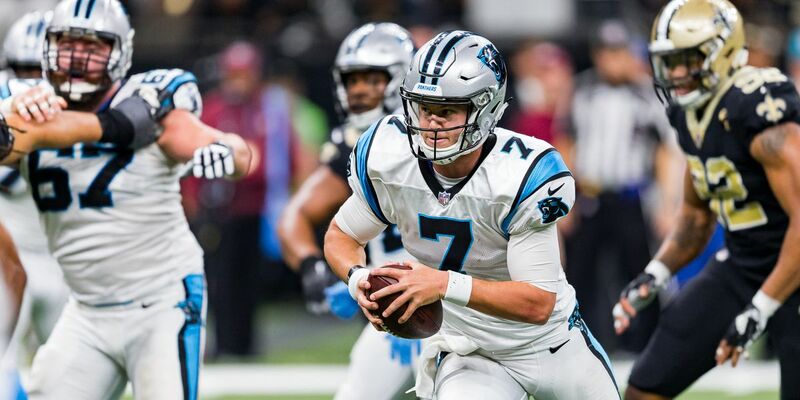 Add the reported move to trade for quarterback Teddy Bridgewater to the list. 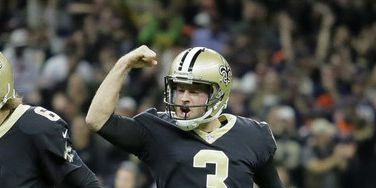 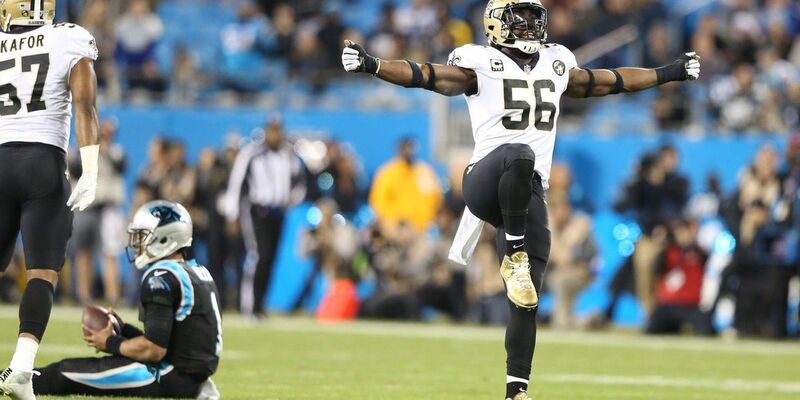 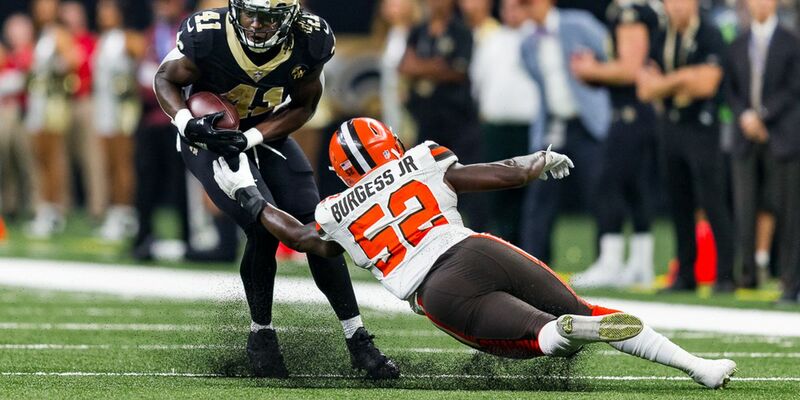 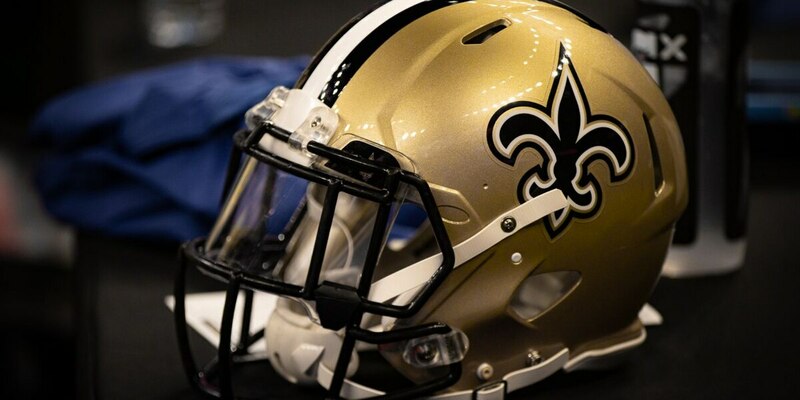 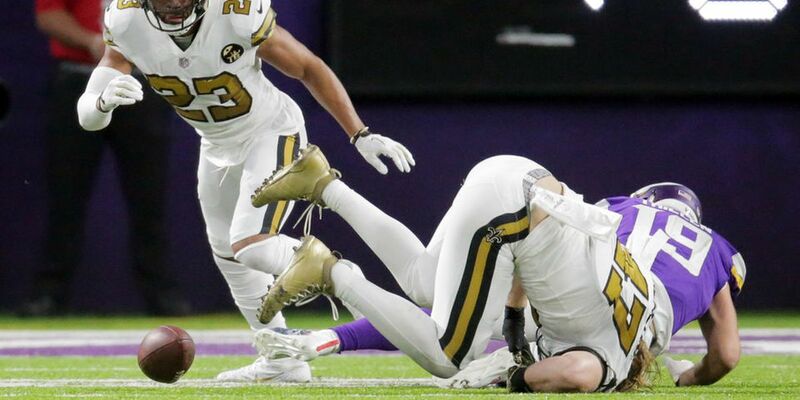 The Saints' final roster cuts received an injection of interest Wednesday afternoon as a report surfaced of the team trading for quarterback Teddy Bridgewater. 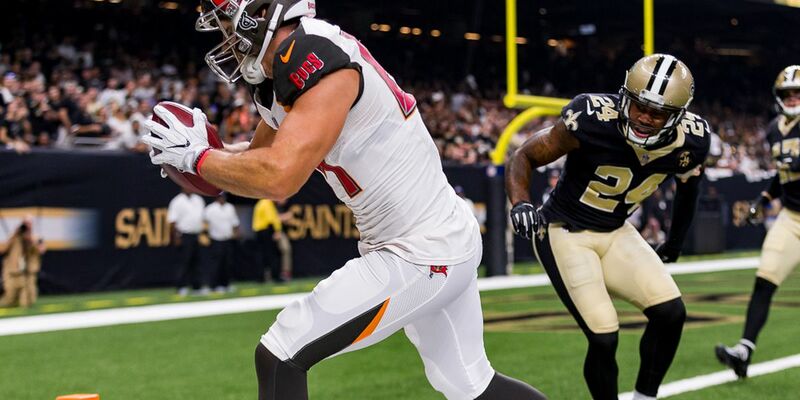 Sean Payton added another wide receiver to the roster competition Wednesday with the signing of Tanner McEvoy.